Q. How do I add something to my Reading list that is not online? This is for items that do not have any online presence. 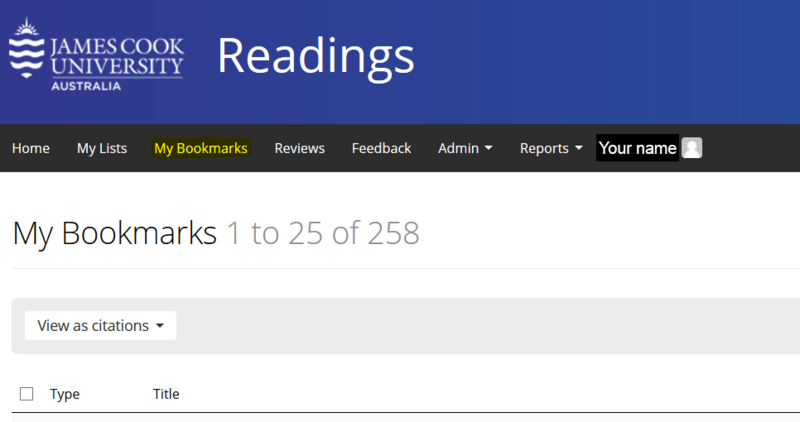 All items that can be found on the web should be bookmarked using the Add to My Bookmarks button - see the Readings LibGuide for instructions on this. Some items, such as out of print or obscure items, do not have representations on the web. These items can be added using the manual add screen. 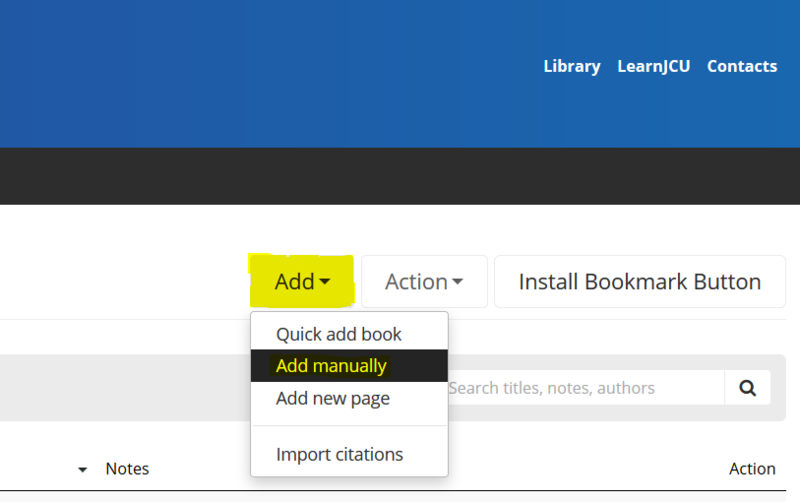 Enter the details for the resource following the guidelines on the Readings LibGuide.